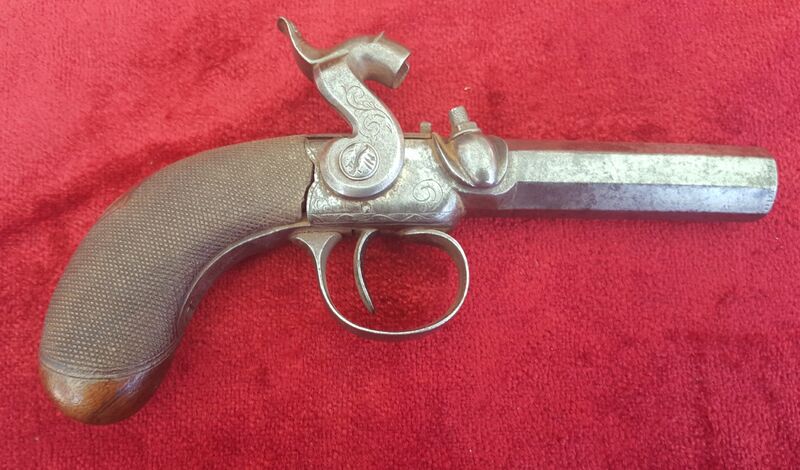 A good English Antique single barrelled Percussion pistol by Williams of Liverpool. Circa 1840-1845. Ref 9548. 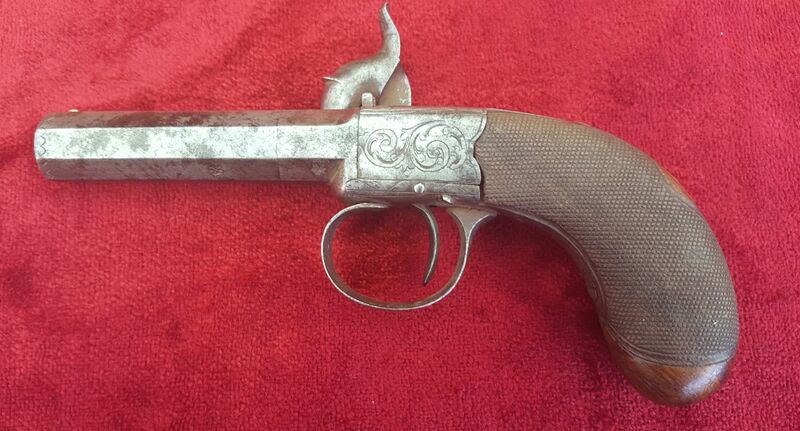 A good English Antique single barrelled side hammer Percussion pistol made by Williams of Liverpool. Circa 1840-1845. 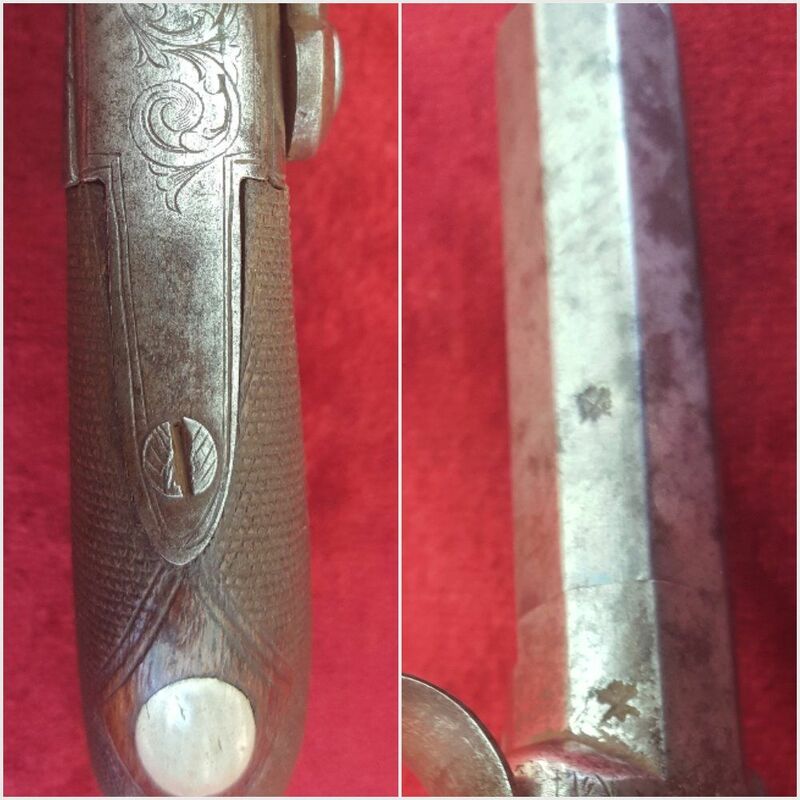 The 2 inch octagonal screw-off barrel stamped underneath with 2 British proof marks and engraved on top with the makers name "WILLIAMS LIVERPOOL". 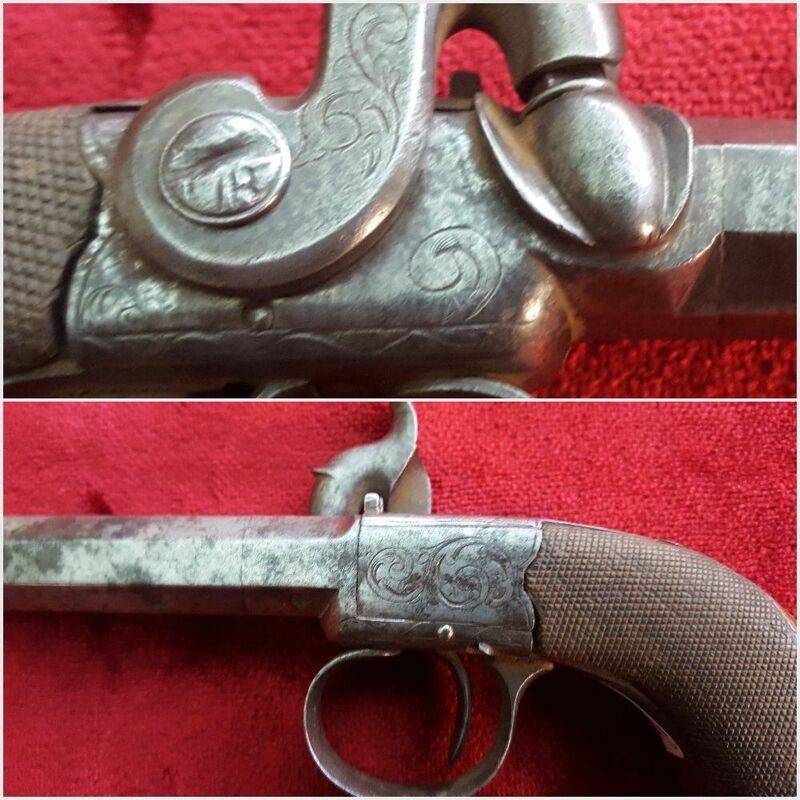 The sideplate and trigger gaurd with scroll engraving. Nicely chequered wooden grips with an oval escutcheon fitted to the rear. In good working order and condtion, showing some minor signs of use. Action crisp. Ref 9548.